This year when I looked at the picture book shortlist (see the full shortlist at the bottom of this post), I was glad to see another of our favourite stories up there, so this year we are championing I Can Only Draw Worms by Will Mabbitt. This is a book that we have long adored. 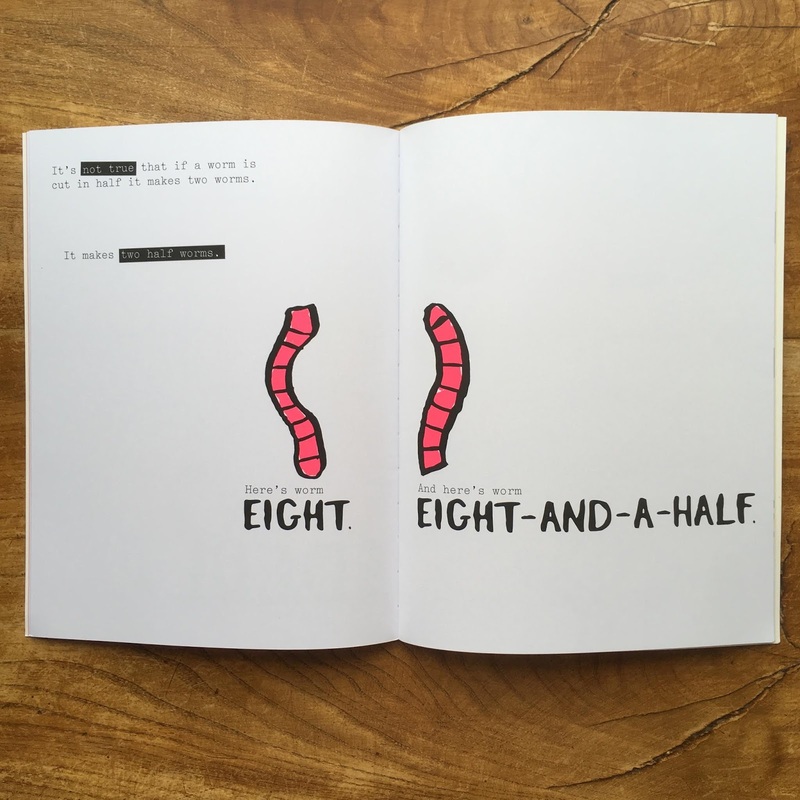 So much so that I wrote a review of it over 18 months ago (if you want to see a cute video of baby BookBairn insisting that I read this book to her, you can check that old post out here) and we still regularly read and laugh at this hilarious story! 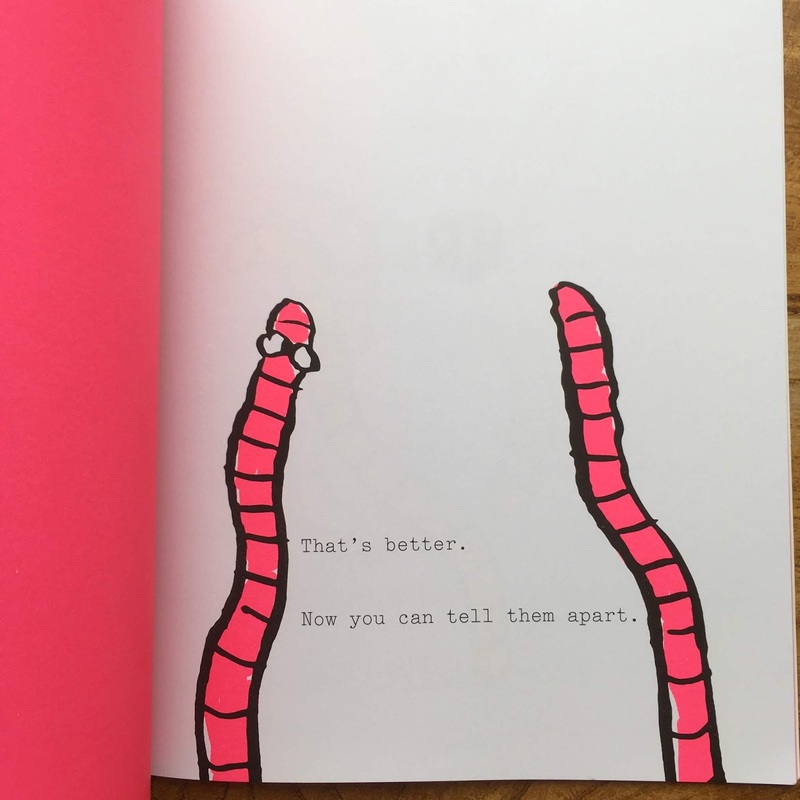 You are perhaps wondering how worms can be laugh-out-loud hilarious? You probably even think that worms are rather boring, just wiggling things that don't do very much you'd be very much mistaken. According to Will Mabbitt, worms have incredible adventures. Unapologetically, Will cannot draw those, so you will have to imagine them! 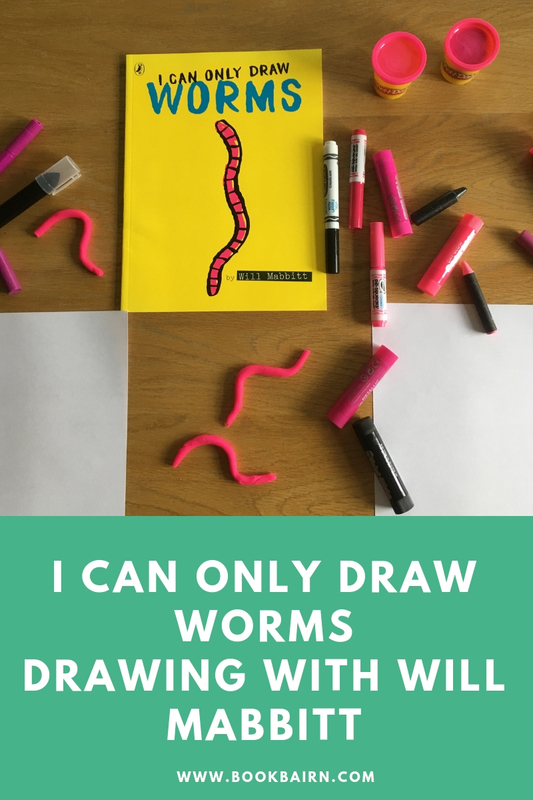 Because Will can only draw worms. 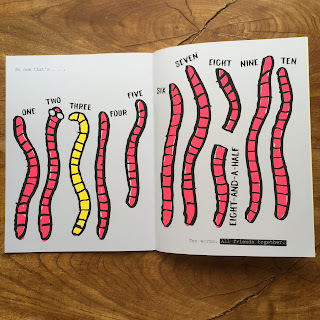 Not only is this a worm adventure story, it's about counting. Counting worms. One to ten. 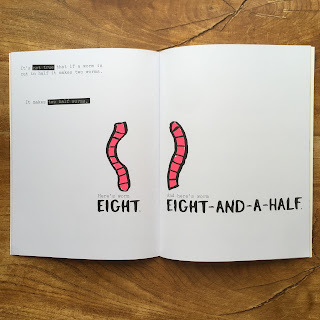 It's a counting book! But it's packed full of good humour! Has adults laughing over and over as they snort out loud reading the pages. For example, what happens when you cut a worm in half? You get two worms, right? Wrong - you get two half worms! But perhaps even more engaging than the silly laugh out loud humour is, in fact the illustration. 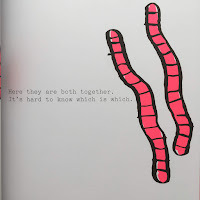 Now, Will modestly says he can only draw worms - this is true - the only illustrations in the book are some worms. But he can pick a striking colour palette. 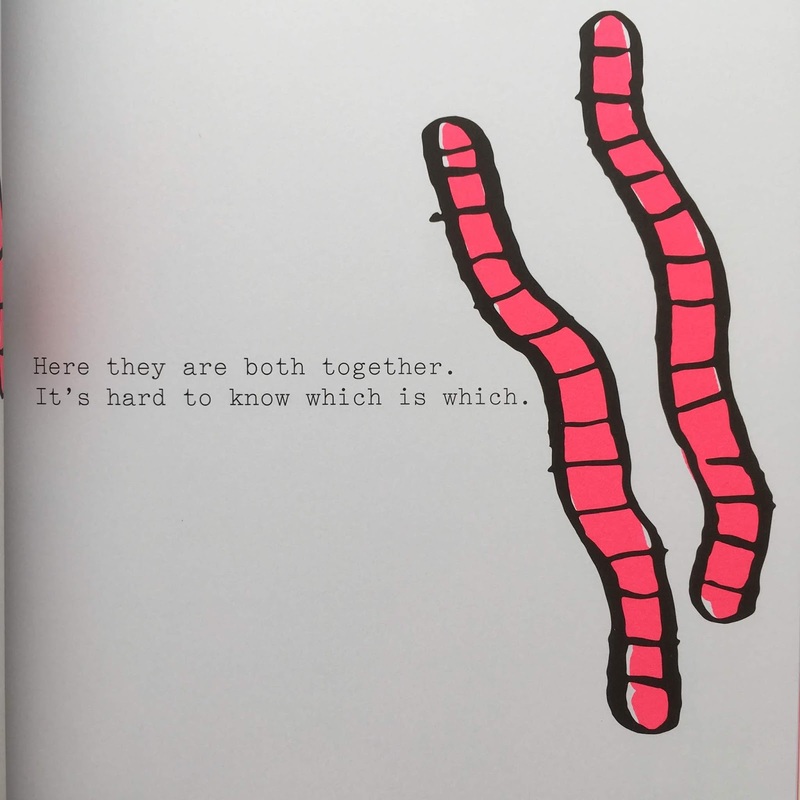 The yellow, pink and black pages break up the story and literally entrance readers. Genius book-making! 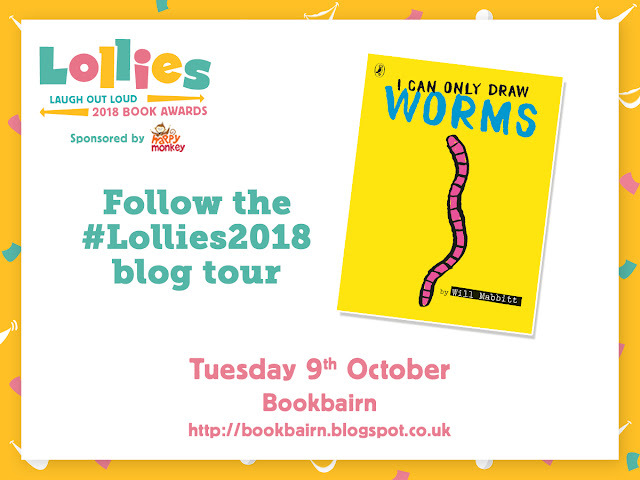 And we are delighted, as part of the blog tour to welcome Will to the blog for a worm drawing masterclass! Some people assume it's easy being the world's worst professional illustrator. But it's not. It's actually taken years of not practising art to achieve my tremendous lack of talent. Here's my guide to worm portraiture. It's important to draw from life. Choose your worm carefully. Avoid these types. Worm 1 showed up late. Worm 2 didn't show up at all. To avoid later awkwardness, it's very important to show your worm at it's most flattering angle. Let's look at some examples with worm 4. Worm 5 is unusually small. We can play with perspective to make it look larger. Be brave and venture from your studio. 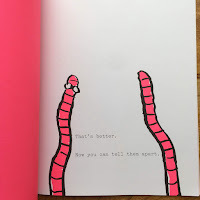 The sequel to I Can Only Draw Worms is called Worms of the World. I asked Puffin [the publishers] to send me on a research trip to the Caribbean. Here's a picture of Worm 9 reclining on a tropical beach. I can't draw tropical beaches. It took me three weeks and 72 mojitos to finish that picture. I told my editor that Michelangelo took 4 years to paint the Sistene Chapel and he had a team f helpers. Worms of the World has been cancelled. Finally, it's important to ask for their feedback. Worm 10 is unimpressed with his portrait. To be honest drawing worms is quite easy. Why don't you have a go! If you tag @gomabbitt on any worm drawing on Twitter or Instagram, I'll give you some encouraging feedback. Have fun! Thanks for that truly inspirational drawing lesson, Will. 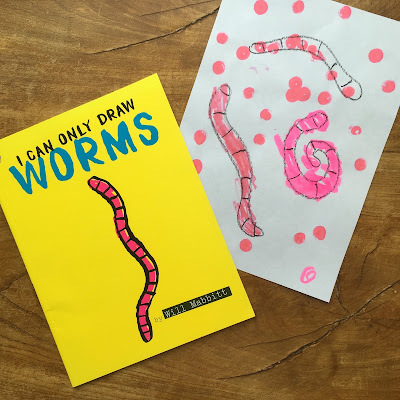 Here's BookBairn and my attempts at drawing worms (I drew - she coloured using bingo dabbers, paint sticks and pens). Not bad I would say. 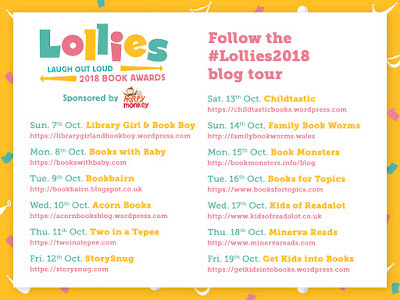 The winning book in each category will be decided solely by children’s votes, with schools and parents encouraged to help kids get involved and vote via the Lollies website, www.scholastic.co.uk/lollies, or using the PopJam app and you can find lots of great teaching resources on there for each of the books shortlisted. Get your votes in by 14th December and the winning books will be announced at an awards ceremony in January 2019. To read the other blog posts in the tour, check out the banner on the right or below to find out when and where to be (and I'll also be sharing on our Twitter). What gets your vote for the funniest book of the year? We'd love to hear your favourites! 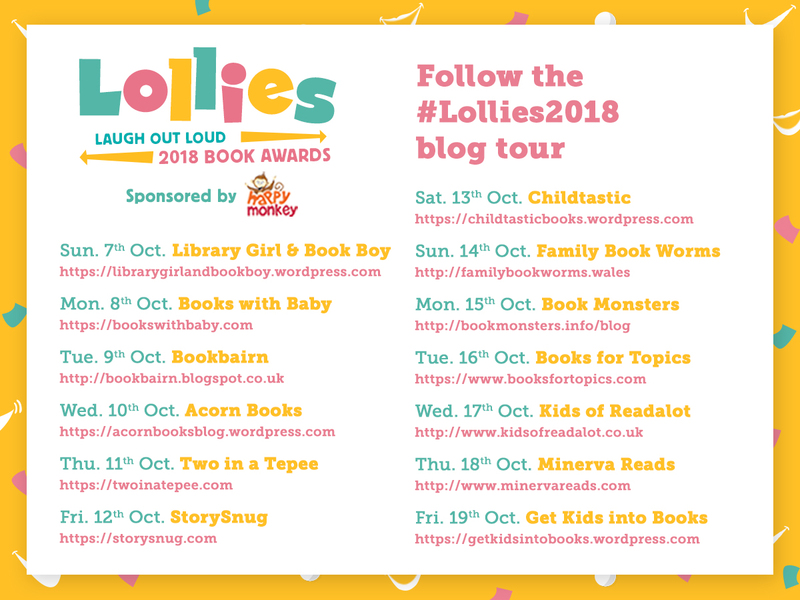 But also remember to pop over to www.scholastic.co.uk/lollies to vote. Happy 'laugh out loud' reading! 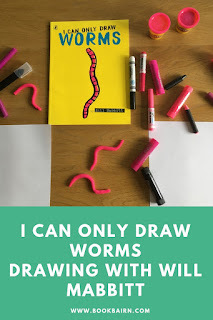 Disclaimer: I was sent I Can Only Draw Worms for free for review purposes by the publishers. Words and opinions are my own. If you click on the title or image of the book you will be sent to Amazon.co.uk using an affiliate link. This means that if you choose to purchase on Amazon.co.uk, I will receive a small sum (around 20-70p per book) from amazon at no extra cost to you. I understand that you may not want to use an affiliate link, but if you like reading our blog please just think of it as a small tip for a tip-off to an awesome book. And know that your support means I can buy more books! For more information check out our 'For Our Readers' section. Even I managed some worms! And I've seen some of your doodles - don't play yourself down, you'd manage worms!